At CES, hear about industry trends, expert insights and future forecasting from leaders in the consumer technology industry. 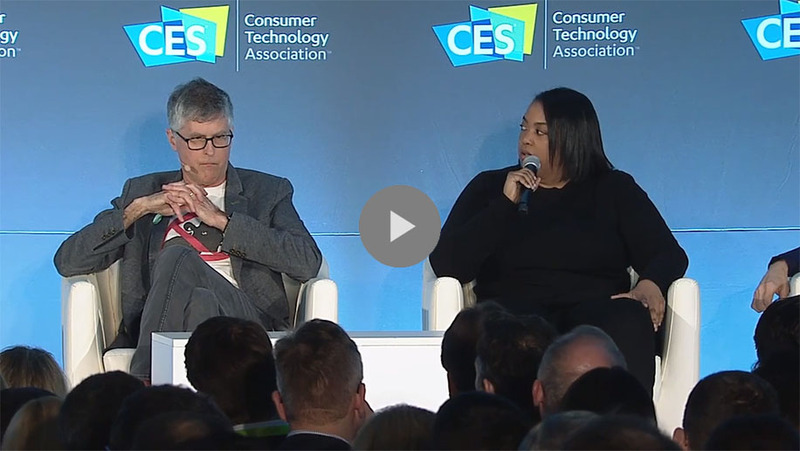 With more than 250 sessions, the CES conference sessions touch on nearly every topic arising from the show floor, including key trends and emerging technologies. Get the big picture, the future landscape or a deeper understanding of emerging technologies with CES conference sessions. All sessions are seated on a first-come, first-served basis. CES SuperSessions feature emerging industry trends and senior executives sharing experiences and predictions for the year ahead. The CES Conference program consists of sessions grouped by track, which focus in on a topic or emerging trend. Tracks are grouped by access level, or pass. Some tracks are included with CES Registration, and others are available as a separate purchase or as part of a pass package. CES attendee registration includes complimentary access to keynote addresses, SuperSessions and select conference tracks. If one of your goals at CES is to learn from industry experts about trends or take a deep dive into a particular topic, consider upgrading to a conference pass. Access five full days of conference programing. Get the most flexibility to attend a variety of sessions or tracks.